Why Not Burger Bar - Restaurant Playa Blanca - Food delivery Service Yaiza, Femes, Playa Blanca, Lanzarote . Restaurant Playa Blanca - Restaurants Delivery Lanzarote. Best Salads Restaurants Lanzarite Playa Blanca There are 7 products. Caprese Salad - Buffalo, Mozzarella, Fresh Tomatoes. Salads - Takeaway Lanzarote Burger Bar Takeaway Playa Blanca - Takeaway Food Delivery Lanzarote.Delivery Available for Playa Blanca, Femes, YaizaFood Delivery Service - Lanzarote. Greek Salad - Lettuce, tomato, feta cheese , cucumber , olives, onion. Salads - Takeaway Lanzarote Burger Bar Takeaway Playa Blanca - Takeaway Food Delivery Lanzarote.Delivery Available for Playa Blanca, Femes, YaizaFood Delivery Service - Lanzarote. Noci Salad -lettuce, parmesan, goat cheese, balsamic vinegar, walnuts. Salads - Takeaway Lanzarote Burger Bar Takeaway Playa Blanca - Takeaway Food Delivery Lanzarote.Delivery Available for Playa Blanca, Femes, YaizaFood Delivery Service - Lanzarote. Easy Salad - Lettuce, balsamin vinegar, crispy bacon, cherry, parmesan, caramelized onion. 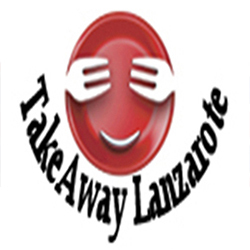 Salads - Takeaway Lanzarote Burger Bar Takeaway Playa Blanca - Takeaway Food Delivery Lanzarote.Delivery Available for Playa Blanca, Femes, YaizaFood Delivery Service - Lanzarote.